A fifteen-year-old Portuguese ballerina named Francisca Saraiva won first place in a ballet competition organized by teachers in England. 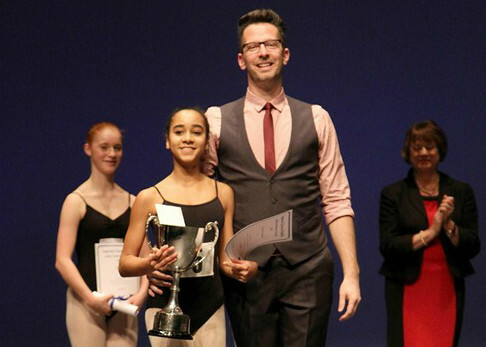 The teenager, a student of the Centro de Dança do Porto, shined the brightest out of 300 other dancers who competed in London’s 50th edition of the “Ballet Awards” of the Imperial Society of Teachers of Dancing (ISTD) for three days last week, March 6-8th. • For more details, please Subscribe to our digital edition, or buy the March 18, 2015 paper edition.